“Presently in India agriculture is facing a strange enigma! People having money and passion for farming does not have their own farmland to pursue it while farmers mostly tribal have their own farmland but it is left barren! Besides government law binds people from buying the farmland of tribal. As a result the national resources are getting wasted, tribal are struggling to make the ends meet and agriculture area is reducing! 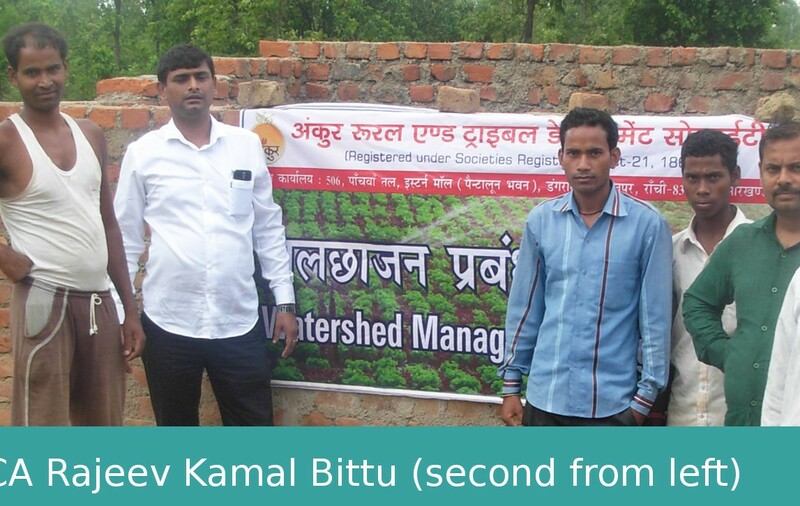 To bridge this gap in 2013 I decided to take the tribal land on lease, develop it into lush green farm with the help of landowner himself by hiring him and encourage them to resume farming independently after completing the lease period,” shares Mr. Rajeev Bittu, first-generation farmer. 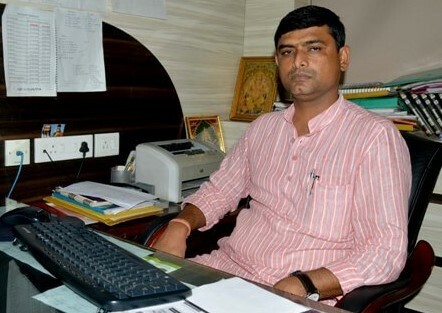 He calls himself as full time farmer and part-time chartered accountant! He hails from Ranchi, Jharkhand. 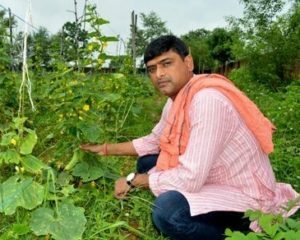 He took 6 acre land on lease at Kuchu village, 32 km away from Ranchi. Being the first-generation farmer he didn’t knew anything about growing crops so he tried to learn on his own through google search, interacting with local farmers and agriculture university professors. He began farming by making his first investment in drip irrigation because water is scarce and every drop of water must be used effectively and efficiently. His first crop was mono-crop water melon. 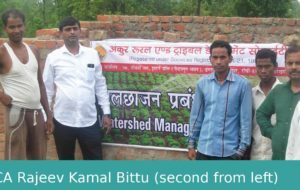 “The sales person of a seed company who supplied watermelon seeds for my farm helped in many ways by sharing the useful tips on farming such as mulching. As a result I attained excellent production but it was not lucrative sales due to extreme price fluctuations. This gave me a lesson to take up multi-cropping instead of mono-cropping,” he highlights. According to Mr. Rajeev multi-crops must selected as per the nutritive content of the soil, season, production cost, weight of the produce, market price, demand and production compatibility with other crops etc. “I usually select the crop in which per plant production is more and the weight of produce is also more like watermelon, cucumber and brinjal etc,” he asserts. The farming method must be kept as natural as possible because there is solution to every problem in the nature. “We extensively use cow dung and urine sourced from the nearby village. It is then processed at farm by mixing it with microbe rich soil and gram flour. We also make different bio-solutions for crop protection using neem and karanj extract (called in Hindi, botanical name is Pongamia pinnata). We prefer making liquid based bio-solution so that it can be sprayed in every nook and corner of the farm through drip lines. Presently my farm is not 100% chemical-free but soon it will be totally chemical free,” he states. Crops are planted in three stages in the interval of 15 days so that it can be harvested throughout the season giving good profits. “When the season of any particular crop begins the prices are at the peak and it gradually drops down. Thus we schedule our crops in a way that we get harvest in the beginning of the season enabling us to earn more. Secondly post harvesting of crop in the first stage gets ready for next plantation and similarly it continues for remaining two stages. In this way crop rotation takes place systematically,” he elaborates. To manage day-to-day activities Mr. Rajeev either hires the tribal farmers on permanent basis or labours depending on their skill and performance on the field. In either case the farmers are paid that improves their livelihood. “I also let them sell the farm produce in the local markets. If I sell the farm produce in bulk the price per kg is 50% less than retail price. Therefore when my farm labours sell the produce in retail in local market my profit margin increases, out of which 30% I give to the labours as selling commission. They are delighted with additional income and my earning also increases,” he explains. Mr. Rajeev’s farming model is unique and flourished extremely well. He has now expanded farming acreage to 32 acres. Further this model accomplishes two main objectives namely [a] improving livelihood of tribal farmers as they are earning from three avenues land lease, monthly salary/wages and commission on vegetable sales. [b] The land which was left barren is now under cultivation therefore the nation’s agriculture acreage is increasing. In future he plans to develop an agri-tourism center with the aim to introduce agriculture to urban children and youth. “They should know how food is grown! They will respect the farmer only when they see the hard work done to grow food,” he reveals his dream project.